Home Around the Table Can New Year’s resolutions actually work? Can New Year’s resolutions actually work? The beginning of every new year comes with resolutions and plans for behavior change. Often the quest to improve health behaviors, such as losing weight, increasing physical activity or quitting tobacco is short-lived. Estimates vary, but by some accounts, as many as 80 percent of people fail to meet their resolution by mid-February. One study followed 200 people with New Year’s resolutions and reported that 81 percent of them failed to maintain their health behaviors after two years. With the case of cigarettes, people are dealing with a highly addictive product. For example, about 95 percent of people relapse after six to 12 months of abstinence when they try to quit smoking on their own. Regardless of the severity of your addiction or even if you do not have an addiction, change is very hard. People often have not explored their reasons for making the change or how ready they are. They also may not have come up with a plan. And, they may simply not realize how hard it is to change behavior. I am a counseling psychologist who studies and works with people trying to change their behavior. Those who succeed have certain things in common. They are usually motivated to change, and they believe in their ability to engage in positive health behaviors. They also track their health behaviors and set goals. Biological, psychological, social and environmental processes influence behavior change. One of the popular theories used to explain health behaviors is something called the transtheoretical model. This theory states that there are five stages of behavior change. – Pre-contemplation. In this stage, the person is not thinking about making the change. Those who fall in this stage may be unwilling to admit they have a problem in the first place. They are unlikely to respond to nagging from others to stop smoking, for example. This could be attributed to the fact that the cons for changing their unhealthy behavior outweighs the pros. – Contemplation. This happens when a person acknowledges that he or she has a problematic behavior but is not ready to adopt a healthier lifestyle. Successful behavior change even during this stage is unlikely. However, people in this stage are thinking about making a change within the next six months. – Preparation. In this stage, an individual starts making plans for the change. For example, a person who wishes to quit smoking may set a quit date and plan to purchase their last pack of cigarettes the week before the quit date. – Action. This is when behavior change starts to occur. In this stage, a person who wishes to stop smoking quits using cigarettes and may start using smoking cessation aids. Or someone who wants to lose weight will start eating fewer calories or start going to the gym. This stage requires the most effort and commitment. – Maintenance. This usually occurs after six months of uninterrupted continuous efforts to sustain the changes they have made and to prevent a relapse. It is not uncommon for relapse to occur after a person has been successful with incorporating the new behavior. This usually happens during the action stage and can also happen after maintenance given that it is difficult to sustain behavior change. Most people are not successful with behavior change after a first attempt, especially when changing an addictive behavior. People with New Year’s resolutions can make about five or more years of continuous attempts to change a behavior before they are successful. Unanticipated barriers such as stressful life events can cause a relapse. While it is normal to experience negative emotions such as guilt and embarrassment after a failed attempt, these feelings can make a person lose hope in their ability to change if they persist for too long. The good news is that after a relapse you can learn from your mistakes and try again. Research shows that a person’s odds of success with positive behavior change increase gradually with time, after unsuccessful attempts. Why do you want to make a change? It helps to start with a thorough understanding of why you want to change. Without that, it is hard to stay motivated, especially when barriers arise, such as getting stuck in traffic on the way to the gym, or a family member getting sick and needing your care. State of readiness also affects behavior change. Part of your preparation stage should be developing a realistic plan. It should incorporate the reality that behavior change is hard. Studies have shown that just setting a goal does not lead to the desired results. 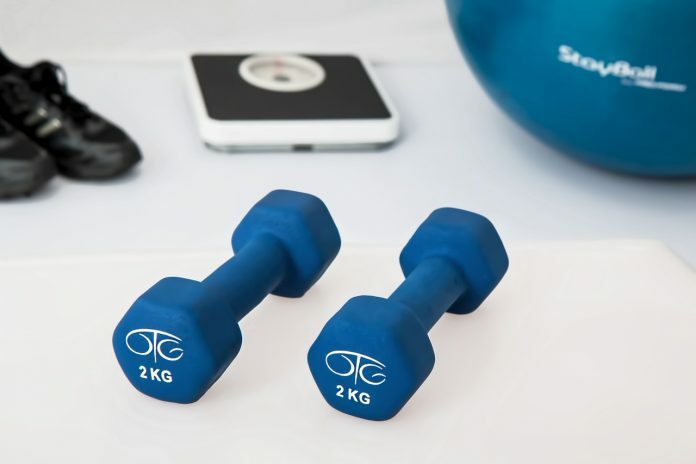 Ambiguous goals, such as saying you want to lose weight in the coming year but not thinking of specific health goals are associated with unsuccessful results. Setting goals that are too challenging, such as going from complete inactivity to trying to exercise seven times a week, often results in failure. Setting several goals also can be overwhelming and result in failure. Even with good goals in place, stress lowers a person’s ability to achieve successful change. Stress lowers our inhibitions, making it more difficult to achieve one’s goals. For example, the stress of the loss of a job would likely challenge a smoker’s ability to abstain from cigarettes. Depression and anxiety, when unmanaged, can have a negative effect on a person’s motivation and derail efforts to change. A lack of self-efficacy, a person’s belief in their ability to exercise successful change, has been associated with unsuccessful behavior change. Biological processes can also affect behavior change. One of the difficulties associated with weight loss is that we inherited traits from our ancestors that cause our bodies to store fat. This was good for our ancestors when food was scarce, but it is bad for our current well-being, given that food is easier to access. Also, studies suggest that our bodies have a certain set-point at which they are most comfortable and have a natural weight thermostat that adjusts our metabolism and eating. This set-point keeps our weight within a certain genetically determined range. This makes initial weight loss easier given that the individual’s metabolism is higher as a result of having more weight. However, it becomes harder to lose weight over time as one’s metabolism decreases. The environment in which we live also influences behavior change. The majority of our foods are highly processed and contain high fats and sugars. Without the appropriate nutritional knowledge and with limited access to healthy foods, successful weight loss becomes challenging. The food environment coupled with a sedentary lifestyle has a negative impact on a person’s health. People who live in neighborhoods without sidewalks, parks or those who reside in dangerous neighborhoods are less likely to be active. Certain cues in our environment also affect our ability to maintain change. For example, a person’s attempts to stop smoking may be hindered by living with other smokers, especially if they have certain rituals around smoking, such as sitting on the porch together at night to chat and smoke. Change for the right reasons. Change for a desire to improve one’s health, to be a better example for your family or to prolong your life, are more likely to motivate positive change. Set both short-term and long-term goals when executing change. Researchers have found that these goals should be specific, measurable, achievable, realistic and timely or SMART. Weekly SMART goals help in making progressive steps toward a long-term goal. Track and monitor your behavior. This enhances positive behavior change. You can accomplish this by journaling and note-taking. Many people find free fitness apps are helpful. Get help. In some cases, behavior change may be most successful with the help of a professional such as a licensed clinical health psychologist. Trained professionals can provide services such as motivational interviewing, cognitive-behavioral therapy, and acceptance and commitment therapy.